This is the 1849 edition of John Calvin’s Commentary on Paul’s letter to the Romans, published by the Calvin Translation Society, translated by the Rev. John Owen. I need to be careful to distinguish it from more recent translations, which may still be in copyright. My thanks to Book Aid for providing a copy of this book for digitisation. This title is in the public domain. With regard to the excellency of this Epistle, I know not whether it would be well for me to dwell long on the subject; for I fear, lest through my recommendations falling far short of what they ought to be, I should do nothing but obscure its merits: besides, the Epistle itself, at its very beginning, explains itself in a much better way than can be done by any words which I can use. It will then be better for me to pass on to the Argument, or the contents of the Epistle; and it will hence appear beyond all controversy, that besides other excellencies, and those remarkable, this can with truth be said of it, and it is what can never be sufficiently appreciated – that when any one gains a knowledge of this Epistle, he has an entrance opened to him to all the most hidden treasures of Scripture…. 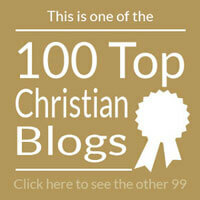 Click here to find more commentaries on the letter to the Romans.